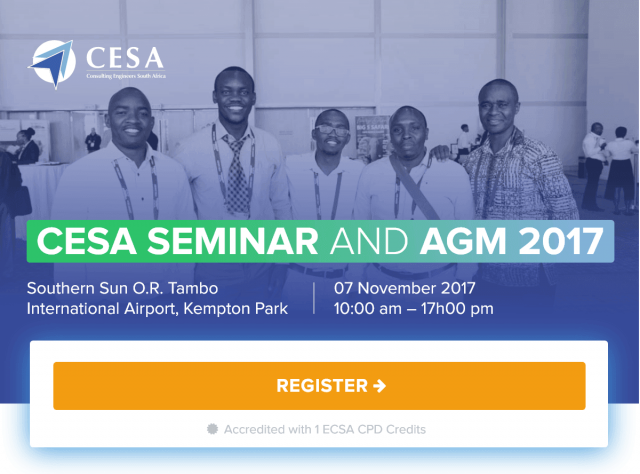 Many thanks to all our speakers, sponsors and delegates for your participation in the CESA Seminar and AGM 2017 which was held on 7 November 2017 at the Southern Sun OR Tambo International Airport. While Infrastructure is the backbone of the economy, it cannot be developed without political certainty, which is crucial for the planning, financing, and implementation of public service delivery and private sector participation. What are the prospects for consulting engineers beyond the December 2017 ANC Elective Conference? What does the pipeline of infrastructure look like – locally & across the continent? In the face of reduced public sector infrastructure-spend are the Built Environment Professions commercially sustainable? 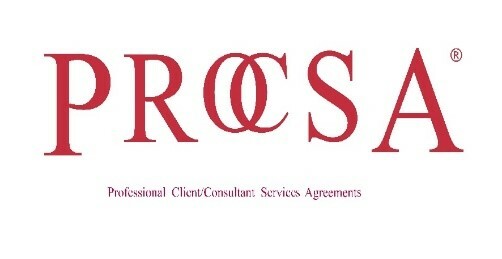 Significant strides have been made with regard to transformation – do more still need to be done to transform the construction and consulting engineering profession, and sustain the gains from 1994? Clients, particularly Government continue to refine and aggressively drive transformation using the procurement regime; what is the impact on the engineering sector? How should the need for enhanced investment in engineering skills and professional registration of young professionals, who are largely a representative of the country’s demographics, be addressed? The industry cannot afford to ignore the issue of women in engineering; what changes are necessary to retain them within the profession?